Listener: Anyone who loves a sweet romance; interested in the struggle of those who have and those who have not; interested in historical inclinations at the end of the 1800’s; follows struggles of women and untitled people for justice and to live a life which provides basic human necessities. About the Author: Courtney Milan’s debut novel published in 2010. Before her very successful coming out, she was a computer programmer, scientist and lawyer. (more detailed information at http://www.courtneymilan.com/about.php ) Her books have received starred reviews in Publishers Weekly and Booklist. She’s been a New York Times and a USA Today Bestseller, a Rita finalist and an RT Reviewer’s Choice nominee for Best First Historical Romance. Her second book was chosen as a Publishers Weekly Best book of 2010. With only three years of authorship behind her, she has touched many people with her vibrant storytelling, both print and audio as noted by the many reviews found on Amazon and GoodReads. About the Story: Miss Minerva Lane died when she was just twelve years old. She has a scar on her face and paranoia to crowds to remind herself that Miss Lane is truly dead. She is now Miss Wilhelmina Pursling, a quiet spoken, unassuming young lady who rather melt into the background of any group of people so not to draw attention to herself than be looked at. But there is something in Miss Lane that didn’t die, her will to survive, her precocious mind, her logical thinking and quick wit. These remain a part of Miss Pursling. Miss Pursling keeps on reminding herself that she is a nobody and that’s what she wants to be. But…somehow, ah, there’s the rub. Robert Blaisdell, the Duke of Clermont, feels he has responsibility to society, to his half-brother who no fault of his own was born out of wedlock; to his friends who have befriended him; to his father’s former factory workers who were sorely wronged by his father, the Duke of Clermont; but not to his mother—never to his mother. Did he even have a mother? Robert carried the name of Duke of Clermont. He had to cleanse that name, remove the past wrongs made by his father by correcting them as best he can. That is his mission. In his mind, his power, the dukedom power MUST be used for good and with compassion. He came to London to do what he could to right the wrongs. He could not be like his father, he would not. Miss Pursling and the Duke meet. The Duke was endangering her status in society and if her past were found out, it would lead to her disastrous ruin and that of her aunt. She must survive. The Duke is driven to finish his mission and cleanse his name. He will not be as his father, using people and blackening the name of the family. Can the Duke and Miss Pursling succeed in their separate quests? Will they be in opposition and declare war? Review: The Duchess War is a multi-layered story of internal and external conflict in both the hero and heroine. Shrouded mysteries plague the story while the reader asks himself why, how come, what for at every turn. And the pages keep turning. Or in this case, you can’t stop listening. I was frankly mesmerized and deeply involved emotionally with the fears, doubts and passion of the characters. This is the first book I have read/listened to by this author and it certainly won’t be the last. Thank you Ms. Milan for your creative talent. The Duchess War provides us a backdrop for the struggle of women and those of the commoner man during the later years of the 1800’s. It also provides us a peek of how the aristocracy was changing and the difficulty in convincing people to do the right thing. If you aren’t convinced that this is a very worthy read, enjoy the next two excerpts that give a glimpse of what gems of conversation are awaiting your listening. And the narrator Rosalyn Landor, a British actress, does the narration to absolute perfection. I highly recommend this audiobook and author. If you have never used an audiobook, they are the wonder of our newer technology. Slip on a wireless bluetooth headset and you are set to listen while your hands are busy with other things. 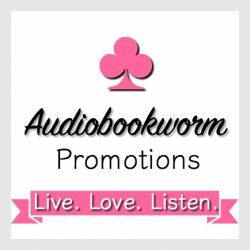 This entry was posted in Book Reviews and tagged Courtney Milan; audiobook; historical romance, GoodReads, Rosalyn Landor, Victorian Era. Bookmark the permalink. Excellent review, Eileen! I have to catch up with this series. I have only read the novella, The Governess Affair so far. 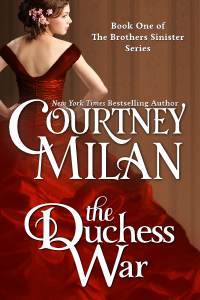 It have The Duchess Affair and The Heiress Effect on my Kindle, and I think I will have to move them up my TBR list after reading the excerpts you quote!